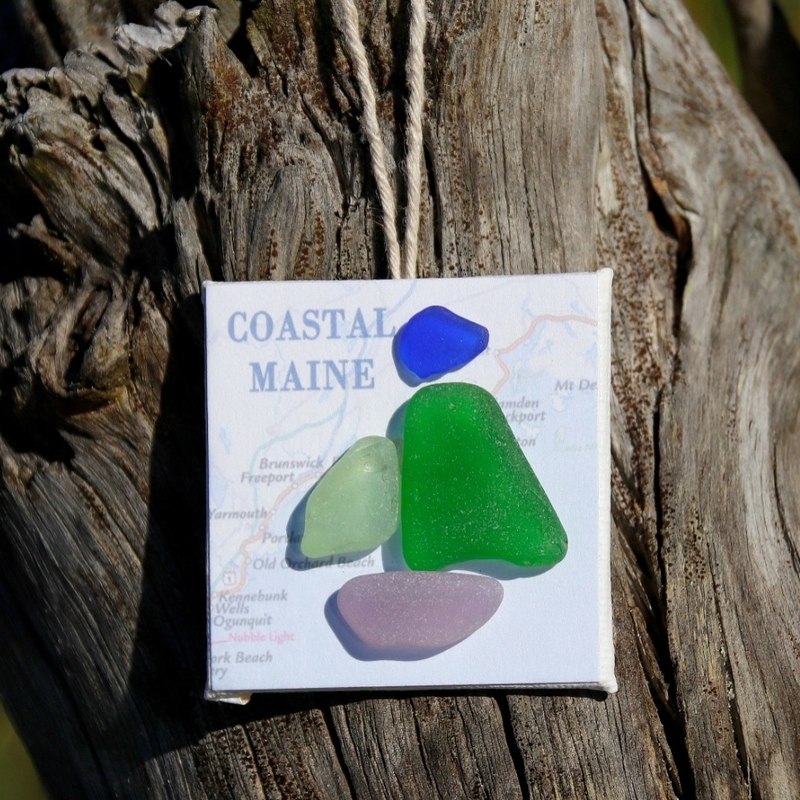 Bringing a bit of the Maine coast to your home/cottage! 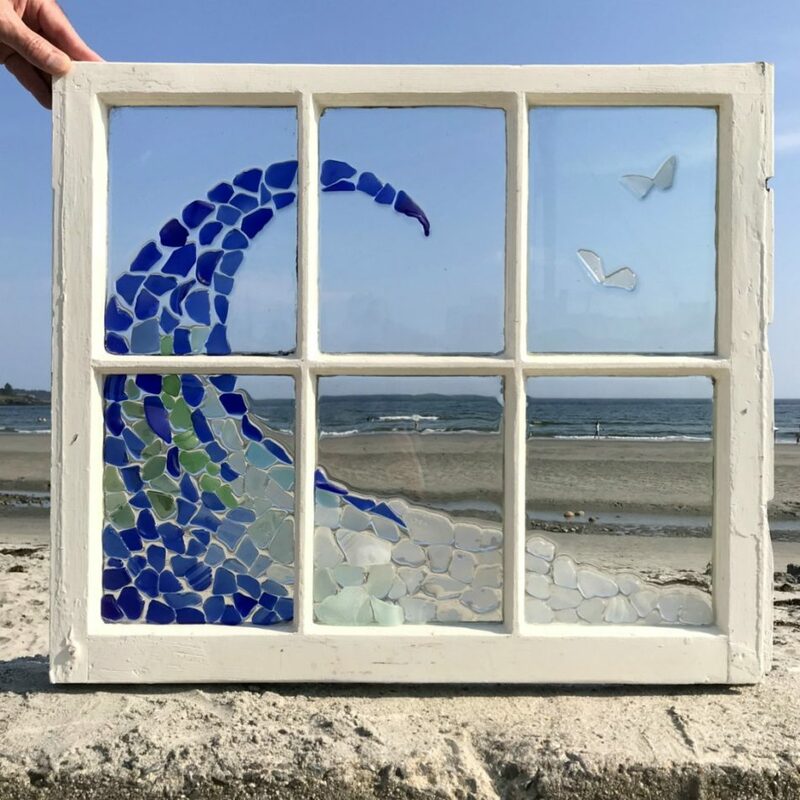 I am both an artist and beachcomber who combines these two passions to create original, one-of-a-kind artworks using sea glass (or beach glass, as it is sometimes called) which I have hand-collected along the coast of Maine over the course of many years. I repurpose these beachcombed “treasures” by skillfully turning them into individual works of art. Each artwork contains a genuine piece (or many pieces!) of the Maine coast. Some artworks are made to hang in a window while others are made for tabletop or wall display. The window artworks use glass frames and resin. Tabletop and wall artworks are mounted on heavy art paper and placed in quality frames with attached stands or hardware for hanging. Each piece is signed by the artist. 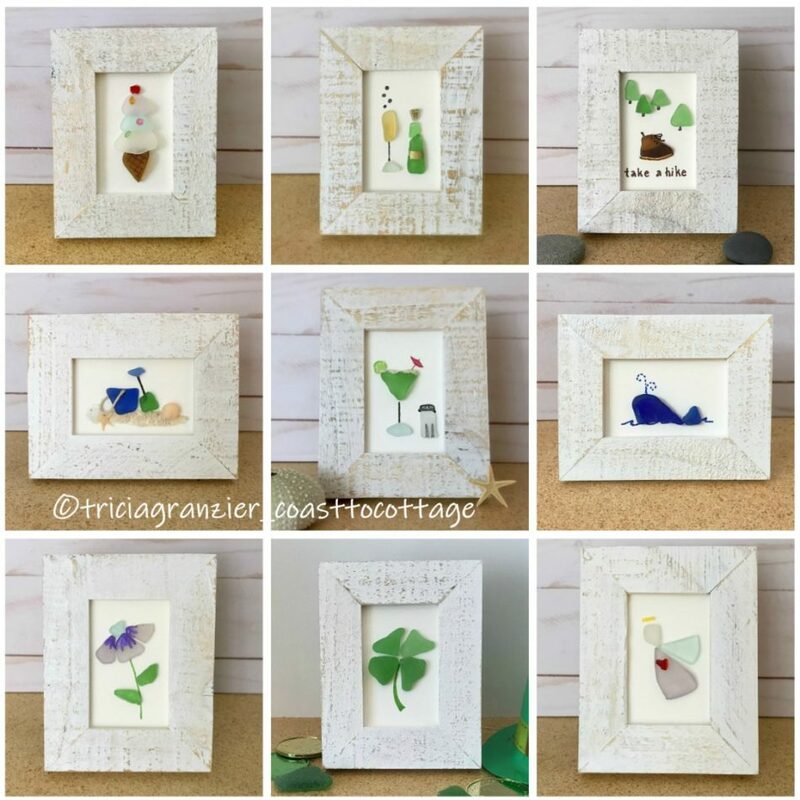 My newest collection of “minis”, in particular, make great gifts for anyone who loves the beach, lake, coast, state of Maine or anyone who simply enjoys a unique, handcrafted gift. I try to keep a variety of themes in my inventory to suit many different occasions and interests, and I am always coming up with new ideas, often inspired by the simple shape of a piece of sea glass. 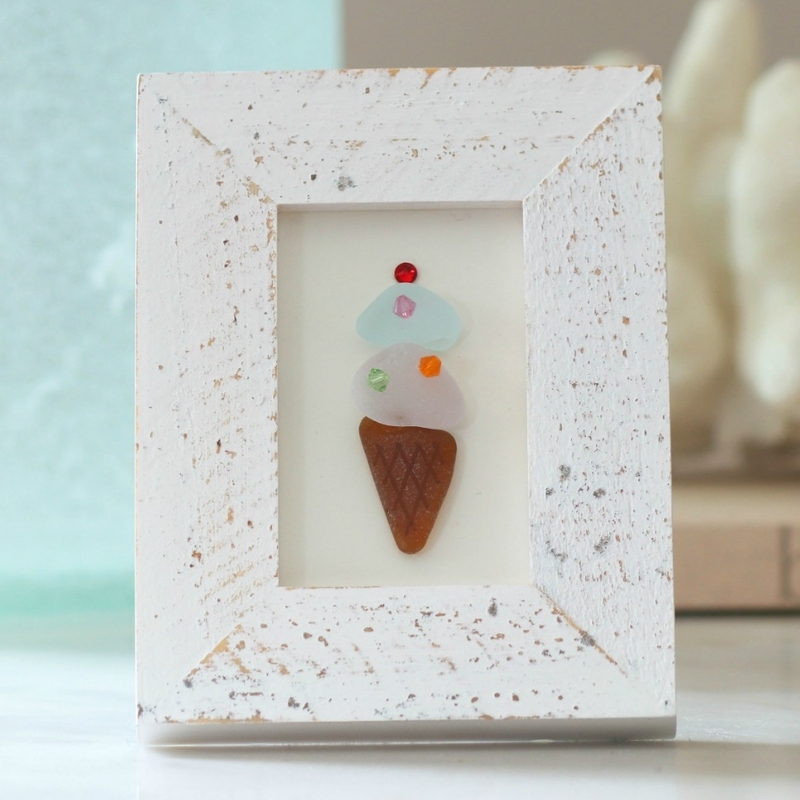 In addition to sea glass art, Coast to Cottage is popular around the holidays for unique, handmade ornaments. My sea glass sailboat ornaments are an original design and the “Compass Rose Ornament” is another exclusive item that has been in particular demand over the years. Each compass rose ornament is individually hand-painted. It has also been used for favors at nautical or coastal themed weddings.